Formation of Israel : How Israel was formed? Formation of Israel has a lot of stories behind it. Apart from the migration of Jews and anti-Jews there were more reasons of Israel coming up as an independent state. 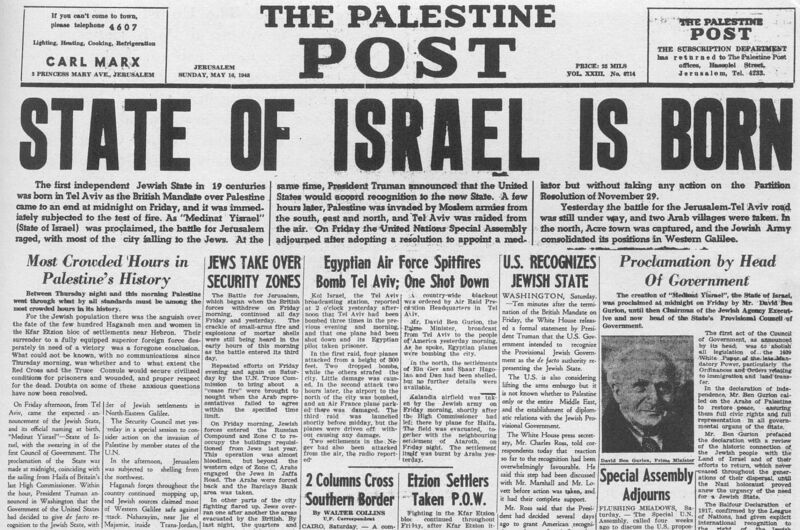 Israel was created on 14th May, 1948. 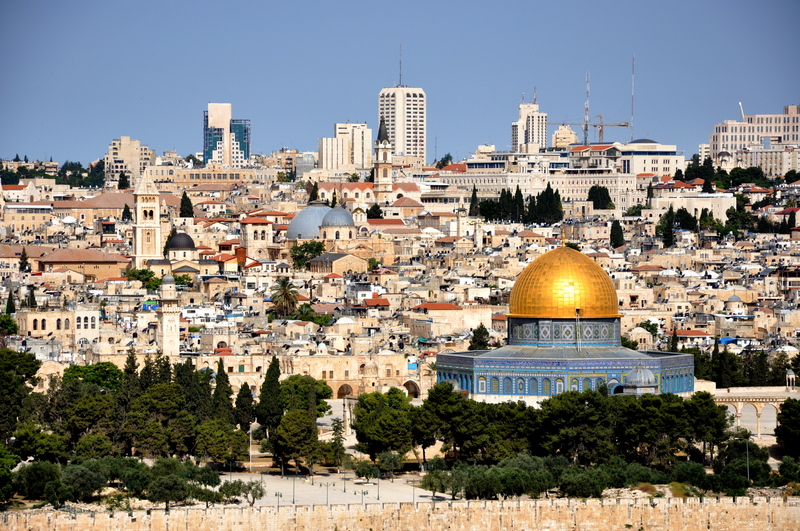 However, there are a lot of things about the Formation of Israel that you might just not be acquainted with. Formation of Israel was a result of migration of Jewish from anti-Jewish regions in the quest of a new independent state, this is what most of us know and the some historians also affirms this. But there is a parallel history running that subdues this fact, according to which formation of Israel was a British and French expedition to have an easy access to Mediterranean Sea. The Mediterranean Sea is a water body connected to the Atlantic Ocean, surrounded by the Mediterranean Basin and almost completely enclosed by land, on the north by Southern Europe and Anatolia, on the south by North Africa, and on the east by the Levant. The sea was an important route for merchants and travelers of ancient times that allowed for trade and cultural exchange between emergent peoples of the region. It was a very profitable route for the Britishers to continue their rule on the Asian countries. Hence, the Britishers wanted to exploit this route as much as possible. This could have been only possible by bifurcating the middle east into small province. So that they could never unite for a commom cause. The typical old “Divide and Rule” policy of the British. Britishers started the evacuation of Jewish from the anti-Jewish states (Germany) to a new land that was actually a part of Palestinian states. The Britishers took this effort not to prevent the atrocities that Hitler was committing on Jews but to gain their trust and to encash it in other forms. With the rehabilitation of Jews, the Britisher killed two birds with one stone. Firstly, they were able to divide the countries along the Mediterranean Sea and secondly, they gained the trust of Jews. In turn, the Jews supported the British with 25,000 Jews joining the British army. Jewish have born combat skills. Before migration began, there were some Jews already residing in Palestine along with Arabs. These Jews were native to this place and were in minority in comparison to Arabs. Despite the demographical difference. the environment was co-existing and conducive.But as the migration started the Arabic land was forcibly sold to the Jewish which were the paternal property of Arabs. As the Jews number started increasing a sense of disruptive environment started injecting. Arabs had already forsaken from their land and were skeptical about their future, started protesting against the migration. Both Arabs and Jews being a strategic ally of the British, they decided to stay away from the conflict and affirmed not to take sides. The Britishers further seeked UN intervention in the matter. The UN without contemplating on all the facets in lieu of getting the crisis resolved quickly, divided Palestine into two parts. One was given to the Jews and other to the Arabs. Jewish being one fourth of the total population in Palestine, heartedly welcomed the decision and celebrated this event. While the Arabs who had to compromise with their land despite having larger population condemned this decision. This historic event marked the start of a tussle between Palestine and Israel. Till date, the Arabs have tried to invade Israel on four occasions. But, due to the unmatched potential of Israel Army, Arabs have been subdued inspite of having larger numbers. Since the formation of Israel, Arabs invaded them on various occasions. But Israel Army gave a beffiting reply on all the occasions. It is because of this reason that Israel follow a special military policy wherein every citizen irrespective of the gender has to serve the Israel Defence Forces for a tenure of 10 years atleast. So Is The Doomsday Heading Us? The 23rd Of September!